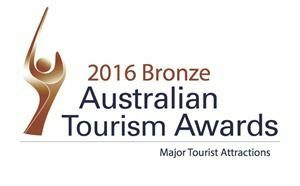 Wineglass Bay Day Tours update on the award recently won by Freycinet National Park in the Australian Tourism Awards and the latest updates on Tasmanian Government funded enhancements to be made to Freycinet National Park before next summer season. Having just won bronze in the National Tourism Awards in the Major Tourist Attraction category, Freycinet National Park is preparing for more visitors than ever. This year, visitor numbers are expected to top 300,000 for the first time ever. Locals and visitors alike are flocking to the area to discover for themselves why this is not just one of the country’s great regions, but one of the world’s most stunning areas. The Tasmanian Government has consistently invested in our much-loved national parks, and are committed to strategic investment to ensure they reach their full tourism potential. The Tasmanian Government has set aside $50,000 this year to develop a comprehensive master plan for tourism infrastructure for the area. The master plan will consider everything from transport logistics and water supply through to sewerage management and is vital to ensure that we can continue to showcase the area and improve on what’s on offer. The Government is investigating options to improve the Wineglass Bay access road in readiness for the coming summer season. Approximately $100,000 will be set aside from the Tourism Infrastructure Fund in the upcoming 2017-18 Budget to address urgent road and parking issues that have already been identified. The Tasmanian Government is acting to provide a quality and safe experience for all who visit Freycinet, with a $500,000 upgrade of the Wineglass Bay track funded from the Tourism Infrastructure Fund provided to the Parks and Wildlife Service. The track from the Wineglass Bay Lookout to Wineglass Bay Beach will be constructed to improve visitor comfort and safety by providing improved step levels. Access from the carpark to the Wineglass Bay Lookout will remain open throughout the project, however the track from the Wineglass Bay Lookout to Wineglass Bay Beach will be closed from May 22 to September 2017 to allow helicopter movements and track construction. Work will also be undertaken on the Hazards Beach Track to repair flood damage. The track will be subject to temporary closures and short access delays during the construction period of May 22 to September. Access to the Freycinet Peninsula by boat and walking via Hazards Beach and The Isthmus will remain open. Access to the many other scenic Freycinet attractions such Cape Tourville, Honeymoon Bay, Richardson’s Beach and the Freycinet National Park Visitor Centre will be unaffected by the track work on the Wineglass Bay Beach track. There has never been a better time to BOOK A TOUR with Wineglass Bay Day Tours and experience the award winning beauty of the Freycinet National Park.